In a recent Pike County Court of Common Pleas decision in the case of Tooley v. Mill Rift Inn, Inc., No. 2496-2009 Civil (C.P. Pike Co. Feb. 25, 2015 Kameen, P.J. 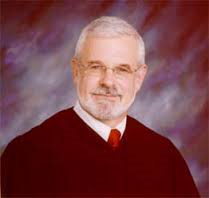 ), President Judge Joseph F. Kameen addressed Motion for Summary Judgments filed by each party in a case arising out of a fatal fire at the Mill Rift Inn in Westfall Township, Pike County, Pennsylvania. At the time of the incident, the Plaintiff’s decedent resided in the Mill Rift Inn in one of its apartments. The issue before the court was whether or not the Plaintiff was entitled to summary judgment under the negligence per se doctrine given the Defendant’s alleged failure to annually inspect the smoke detectors at the Mill Rift Inn in violation of Pennsylvania Code Provisions. After reviewing the record before the court, Judge Kameen found that the Plaintiff had established that the Defendant’s violation of the applicable law was sufficient to trigger the doctrine of negligence per se. In his opinion, Judge Kameen set forth the law pertaining to his doctrine and the four (4) elements that a party must meet to establish the application of the negligence per se doctrine. More specifically, the court found that the Defendant’s failure to annual inspect the smoke detectors in the decedent’s apartment and/or to notify her in writing of her own duty to inspect her apartment’s smoke detectors as required by the Pennsylvania Code was indeed a substantial factor in bringing about the Plaintiff’s harms for purposes of the negligence per se analysis. As such, the Plaintiff’s Motion for Partial Summary Judgment in this regard was granted. With regards to the Defendant’s Motion for Summary Judgment which argued, in part, that the Plaintiff was ever a tenant at the Mill Rift Inn, Judge Kameen found that the record established that an oral agreement existed that was sufficient to create a landlord/tenant relationship under Pennsylvania law. The court found that the verbal agreement with regards to the Plaintiff living in the apartment was sufficient to establish the existence of a month-to-month rental agreement between the parties under Pennsylvania law. The court also denied the Defendant’s Motion for Summary Judgment based upon its status as a landlord out of possession. First of all, the court noted that there were no support for this argument by the Defendant with respect to the control of the “hard wired” electrical systems on the premises such that the landlord could be considered a landlord out of possession. Judge Kameen also noted that, even if the court found that the Defendant was a landlord out of possession, the reserved control exception of the general rule that landlords out of possession are protected from liability was found to apply where the hardwired items such as the smoke detectors were not serviceable by the tenants who lack lawful excess to the main electrical lines in the building. The court also noted that the Plaintiff had no right of access to the basement where the fuse boxes were located. Accordingly, there were no reasonable expectation that the decedent would have been able to repair the smoke detectors in her apartment. As such, the Defendant’s Motion for Summary Judgment in this regard was denied. Judge Kameen did grant the Defendant’s Motion for Summary Judgment on the Plaintiff’s allegations of a breach of implied warranty of habitability as there was no evidence to show that the tenant gave notice to the landlord of any alleged defect or condition such that the landlord had a reasonable opportunity to make the necessary repairs prior to the incident. Here, there was no evidence that the tenant notified the Defendant of any defects at issue in this case, including the allegedly non-functional smoke detectors. As such, this claim was stricken under the summary judgment standard. I send thanks to Attorney Michael Foley of the Foley Law Firm in Scranton, Pennsylvania for providing me with a copy of this Opinion in the case in which he is the Plaintiff’s counsel. Anyone desiring a copy of this may email me at dancummins@comcast.net.